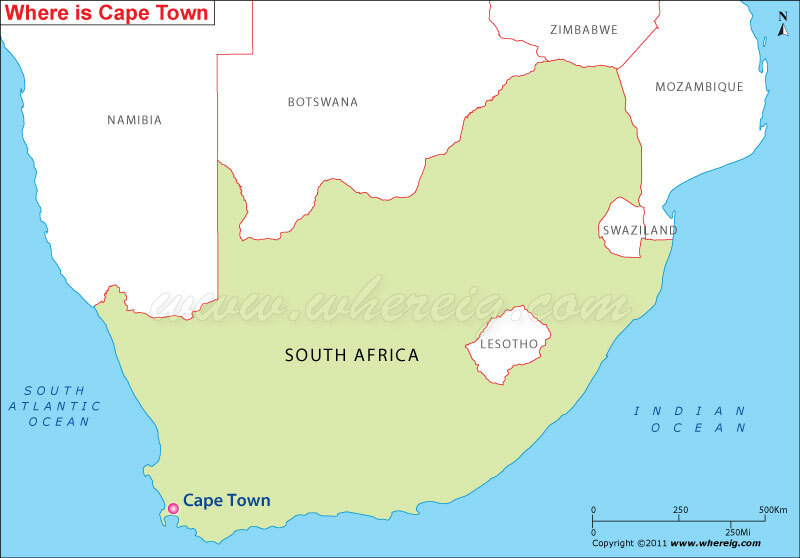 As shown in the given Cape Town location map that Cape Town is located in the south-western region of the country. It is coastal city situated on the shore of Table Bay of Atlantic Ocean. Cape Town is the capital city of province Western Cape. It is also the legislative capital city of South Africa; so, it homes National Parliament and various other government offices. Interestingly, Cape Town is more popular for its harbor along with the natural setting in the Cape floral kingdom i.e. Table Mountain and Cape Point. By virtue of having such a nice natural landscape, coastal location and well developed infrastructure, Cape Town is one of the most popular tourist destinations. Located on the shore of Table Bay, Cape Town was originally developed by the Dutch East India Company as a victualling (supply) station for Dutch ships sailing to Eastern Africa, India, and the Far East. Today it is one of the most multicultural cities in the world, reflecting its role as a major destination for immigrants and expatriates to South Africa.